Thank you to ThredUp for sponsoring this post. Referral links are a part of this post – I may get a small commission if you make a purchase using the link. As always, all opinions are mine. Before I got pregnant, I was on the fence about maternity clothing. Did I even want to wear it, or try to get by without it? I didn’t (and still don’t) want to look dumpy, by any means. My thought pattern was this: if I was going to feel super large, then I still wanted to at least attempt to look pulled together! I ended up deciding to buy some maternity pieces. There are a lot of fun, darling looks out there – I thought, why not enjoy the pregnancy this way as well, by dressing up the baby bump some? 🙂 I was hoping to find a happy medium…and now I can happily say that I have! Once I got through my first trimester, I started to look at maternity clothes with a bit more seriousness. I turned to my favorite clothing site, ThredUp, because I knew they have a maternity clothing category! And I knew they have some great brands at really, really great prices! After all, it’s where I shopped for the majority of my clothing (like I mentioned in this style post last fall) even before I was pregnant. One of the things I love most about ThredUp’s site is how easy it is to navigate. You can quickly search for items by filtering for your size, the clothing type, the brand, or even the color you’re looking for! And in my case right now, I can also search by all of these characteristics under the overarching Maternity category! Of course, the biggest draw for me in using ThredUp is the price factor! On their site, you can easily find clothing from brands you love, but at a fraction of the price! It’s super exciting! And the clothing items I’ve purchased from ThredUp are never ratty or poor quality – the company really sifts through the clothing they receive, and they select clothing that is either still brand-new, worn a few times, or they will let you know in the item’s description if it has slight pilling or fading. It’s wonderful how up-front they are. I always know exactly what I’m getting. I don’t wear 100% maternity clothing now, and I actually don’t plan to ever wear 100% maternity items. I just don’t want to do a complete wardrobe overhaul. 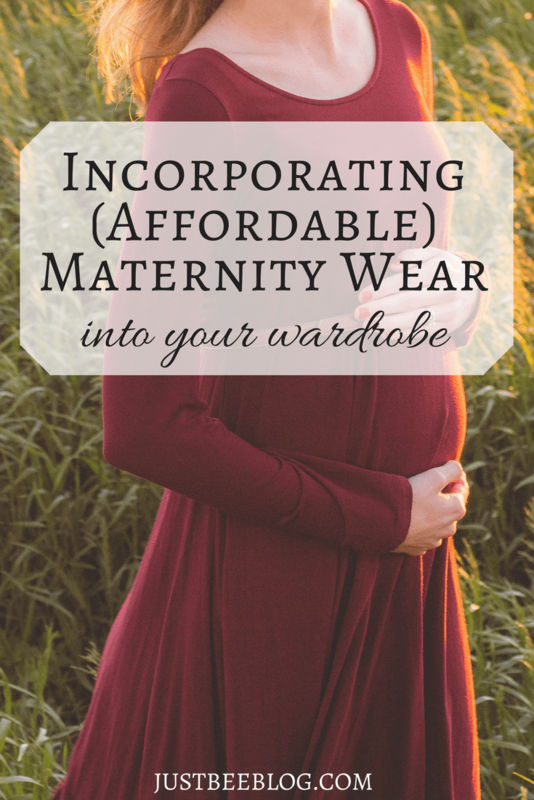 However, I’ve found that it really helps to be intentional about selecting a few maternity pieces that will be workhorses for me in the months ahead! I have been incorporating these ThredUp maternity pieces into my non-maternity wardrobe, and I’ve been loving the results! You don’t need to buy maternity everything when you’re pregnant, by any means! For example, a couple weeks ago for a teacher workshop day, I wore my favorite Brass Clothing dress and a jean jacket, and I didn’t have any maternity items as part of that outfit! Other days, I love reaching for a pair of my maternity flare jeans and a gray looser non-maternity top I got from ThredUp in the past. Finally, there are maternity outfits I love that actually are centered around a maternity piece (like one of my maternity dresses with a belt, cardigan, and boots). And something I love about the majority of my maternity dresses is that they can still be worn (and still look cute) even when I’m not expecting! Not all maternity dresses include tons of extra ruching or extra fabric; some are just plain looser, and easy to wear in any circumstance! I love this dress so much! It’s a great maroon color, which I think works just fine for spring and summer, but it will look especially nice once we transition into fall weather. I like to add a belt and boots to most dresses I own 🙂 and sometimes a jean jacket adds an extra layer for warmth or even texture. This pullover is just too amazing. 🙂 I wish you could just reach through the computer screen and feel how soft it is! It is so incredibly comfy! I don’t always buy longer sweatshirts, but this one is nice because it’s long enough to wear with leggings! I feel very comfortable in this outfit (like pajamas!) but I can still just hop in the car and run errands in it. 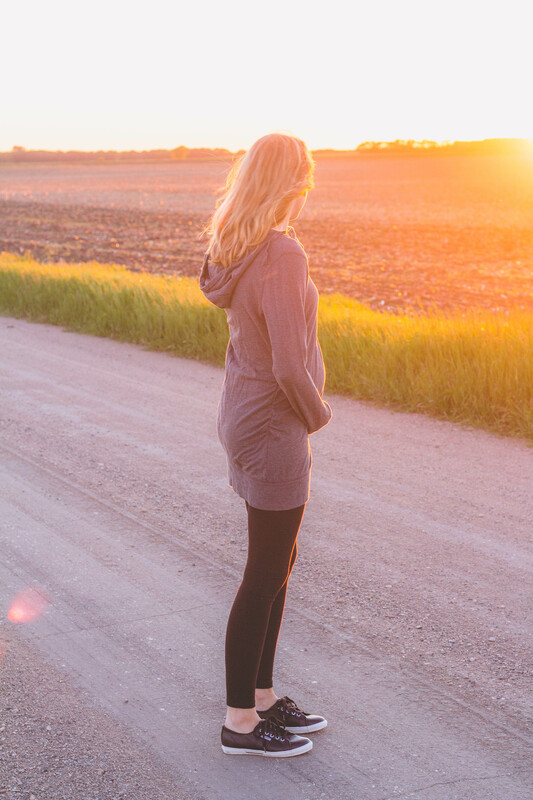 Comfy outfits that you can still be seen in public in are a wonderful gift! How do you like to incorporate maternity wear into your current wardrobe? Have you used ThredUp before (for maternity or non-maternity)?? I love ThredUp! 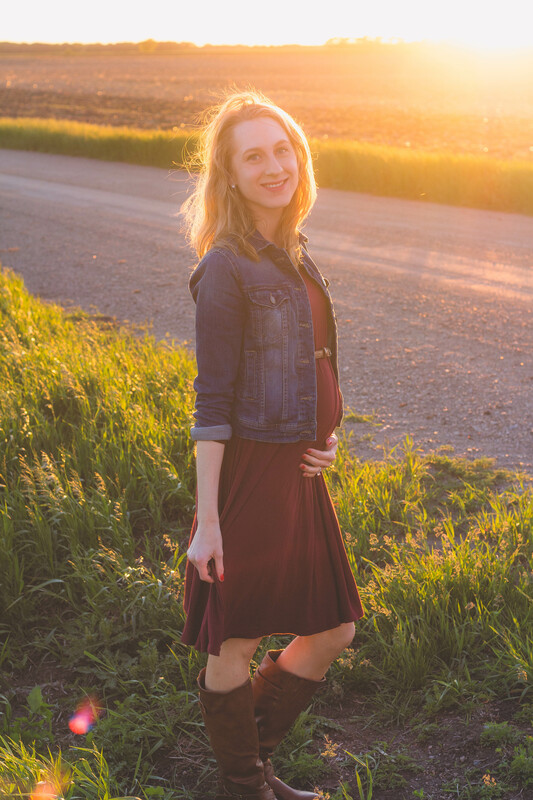 And now that it’s summer, I definitely need some more warm-weather maternity clothes! Yes! 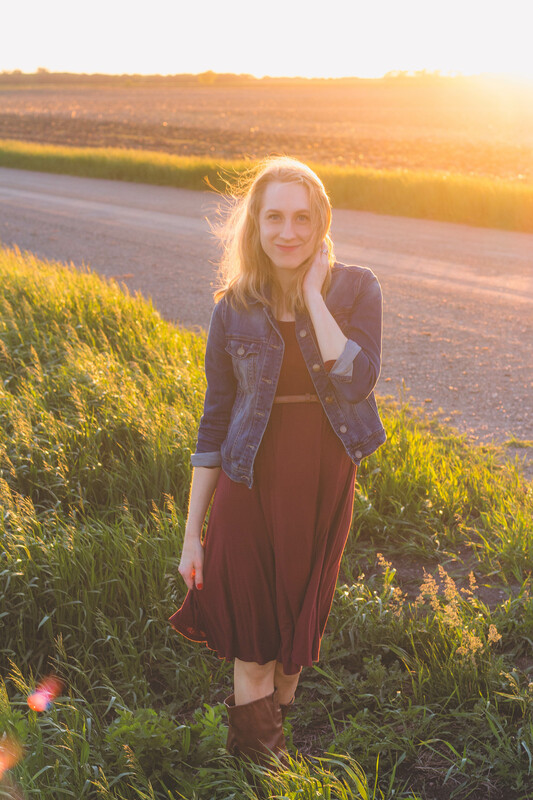 ThredUp is so great! I love them. 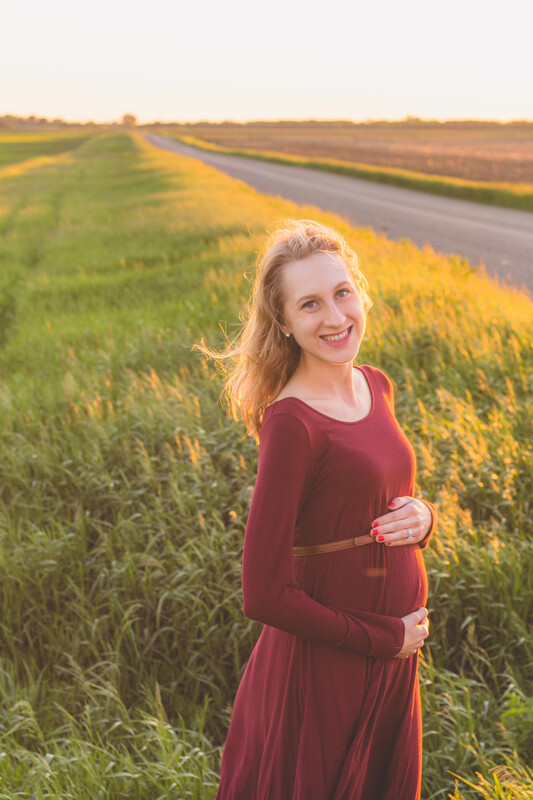 🙂 I’ve totally been buying both warm-weather and cool-weather maternity clothes – it’s fun to think ahead to the cooler fall days, too! When are you due? That is so fun, Jordan!! ThredUp is seriously my favorite place to get clothes! Things can be so expensive in store, so it’s fun to get my favorite brands at a cheaper price!